Lucius didn&apos;t feel like working any longer and Valentina made a pot of tea and cut him a large piece of the small chocolate cake she had made for him. When Lucius arrived, a large, blue truck was parked with the engine running in Martin Martin&apos;s yard. It could be seen from Valentina&apos;s drive and it was filled with pigs. Their pink snouts and the tips of their pink ears and disturbingly human shaped eyes could been seen through the air slats in the side of the truck. Valentina was standing there staring at the truck with a look of inexplicable sorrow, her long, delicate fingers clenched into white-knuckled fists. When he came up to her, she walked away from him hastily and disappeared into the outside toilet for several minutes. He knew she had been crying... There had been other hidden tears and stifled furies concerning the welfare of animals in their short relationship. He wanted to make her feel better, but didn&apos;t know how. "Why does it trouble you so much – the animals?" asked Lucius, readying a forkful of cake. "It is understandable to be opposed to cruelty, but even animals eat animals. 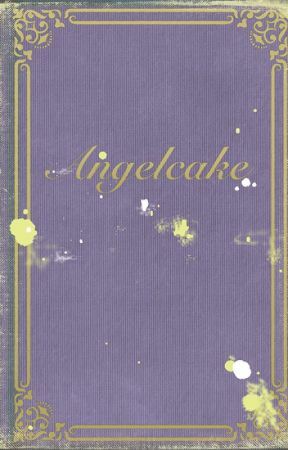 It is the way of the world for," (he wanted to say for Muggles and Wizards alike) "for everyone Angelcake." "It&apos;s just... I have different views to everyone else (I mean, to many people) about our traditions... in regard to animals." "Yes, I gathered that," said Lucius waiting for Valentina to continue. "I do not need to know what everyone else thinks. I ask to know what you think." The feeling was too much with her and at the same time their relationship meant too much to her. She felt uncomfortable discussing the matter directly with someone whom she cared for but was on what she considered &apos;the other side&apos; – both for an interest in his feelings and because, she did not want to risk finding out if Lucius was drastically insensitive compared even to the average person. His sort of people from rich, conservative, old families often were. She didn&apos;t want to find out that he believed anything that didn&apos;t make something he could eat or wear was useless and everything that did make something he could use was put there for him to do whatever he pleased with, as his &apos;absolute right&apos;. She didn&apos;t want to take the risk of finding out that he might think one of pigs they had seen earlier had no more feelings than the grandfather clock in his library, which also had moving parts and was &apos;rather useful&apos;. She definitely, DEFINITELY didn&apos;t want to know if he was the sort who took his entertainment snuffing the life out living things and then took photographs of himself grinning like a psychopath over their dead bodies, with his high-powered weapon (as if the poor old lion ever had any chance) before stuffing and mounted their heads on his wall. She couldn&apos;t bear to think of Lucius in that way. The topic was something she had been avoiding since that first moment when she felt her heart racing for him: But what if he is like that? It was a problem. She had known and loved many people who took relatively little interest in the safety of other species, but were otherwise kind and decent – for the most part. It seemed to be the category most people she had an affinity for fell into. She could accept that sort of person and not having confirmation he was any different was as much as she could take, for now. Even if Lucius was pretty average in his views, she knew these otherwise kind and decent people became selectively callous (and ultimately defensive, even nasty) over what they felt was a challenge to their good person. Presenting these good people with the truth that they were inadvertently supporting death and torture (even in a sort of detached: &apos;I don&apos;t blame you, when I say I am horrified that this is happening&apos; sort of way) was a quick way to get a person, not to re-evaluate their own actions, but rather to end a friendship. The funny thing was, most of these good people would go out of their way to help a stray in the street, yet they became annoyed, agitated, angry, dismissive over a few habits that really did not match up with the rest of the pretty much decent way they lived their lives as a whole... Deep inside, in that small, locked room at the bottom of their warm, beating hearts, there was a tiny, inconvenient piece of the realisation that they were involved in something every single day that could not be made right by eloquent arguments of tradition, nutrition, opinion, or divinity. Some of them said they understood, said they respected the &apos;opinions&apos; of people on the other side (people who thought like she did) but in truth they considered people like her to be flakes. It was the only way they could cover their eyes from that heart shredding ugliness that threatened to inconveniently mark their lives.